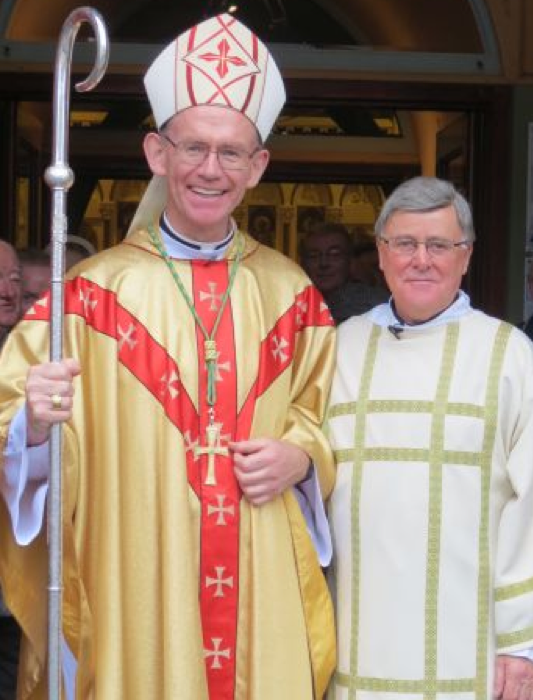 Martin Shanahan from Quilty was ordained a Deacon by Bishop Fintan Monahan in Ennis Cathedral on Sunday 26th November, the Feast of Christ the King, at 12 noon Mass. Martin will be ordained a Priest in the Summer of 2018 for service in the Diocese of Killaloe. Martin Shanahan entered the seminary in Maynooth in 2015, after losing his wife Mary Margaret in 2011 and has a son Eoin, who is a college student. Please pray for him as he prepares for ordination to the priesthood in the summer of 2018 in St. Mary’s Church, Mullagh.